Insomnia has various causes which may be psychiatric or medical causes, unhealthy sleep practices, biological factors, etc. 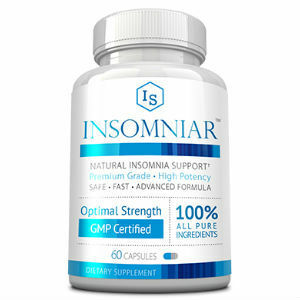 Several studies are being done on the causes of insomnia. Following are a few common causes that we need to understand. Sleep may be disrupted due to certain mild or serious medical conditions or symptoms of certain conditions. Some of the health disorders that lead to insomnia are nasal allergies, gastrointestinal issues, hyperthyroidism, arthritis, asthma, Parkinson’s disease, chronic pains and lower back pains. 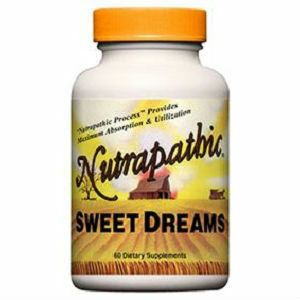 Medications are taken for insomnia caused by these disorders. On the other hand, insomnia may also occur as a symptom for diseases like Restless Legs Syndrome, a nervous disease wherein an individual has a sensation of wanting to move their legs and Sleep Apnea, a disorder in which a person’s airway gets blocked while sleeping. In case you frequently find trouble sleeping, you need to trace the cause first before you go for a treatment be it behavioural treatment or a doctor’s treatment. Psychiatric conditions like depression, anxiety, etc. also lead to insomnia. Insomnia can make depression worse and vice versa. However, you do not have to worry since both are curable. Adults are filled with fear or worries about several things which in turn affect their sleep pattern as these thoughts continue to run in their heads as they lie in bed. Insomnia is caused by tension from work or home, thoughts about the past or future, pressure of responsibilities, etc. Fears caused by these thoughts keep the person awake or keep them up waking up frequently. When this continues, these fears and thoughts turn into panic and dread making the disorder worse. Cognitive mind-body techniques and hygiene sleep habits may aid in getting rid of the disorder. Unhealthy lifestyles may also trigger insomnia. Following are a few examples of an unhealthy lifestyle. Working in the evening after you get home. After a whole day’s stress, it is important to take time to relax to follow with a good night’s sleep rather than being exposed to lights emitted from the television, laptop or mobile phones. Taking short naps during the day. For some, it is hard to get sleep at night after having slept in the afternoon. It may not be the same for all. When you sleep to compensate lost sleep of the previous night, it may confuse your body and disrupt sleep the next night. When your work is such that your shift keeps changing (day and night shifts), again your body gets confused and you lose out on sleep. It is thus important to address your issue rather than making it a habit and deteriorating your body conditions. Alcohol, increased amounts of caffeine through the day, nicotine before bed time and heavy meals before sleeping could disrupt your sleep big time. Alcohol, being a sedative, initially makes you fall asleep but affects your sleep later with you waking up frequently. Nicotine and caffeine are stimulants which keep the body awake and disrupt sleep. Heavy meals and spicy foods may cause heartburn and gastrointestinal issues while sleeping. In some cases, patients are not able to get rid of insomnia even after following strict healthy sleep conditions. The reason has not been identified but this could be because of certain chemical interactions or neurotransmitters in the brain.